Since the onset of the crisis, market sentiment has alternated between periods of "risk on" and "risk off". In a paper released today, Andrew Haldane – Executive Director for Financial Stability and a member of the Financial Policy Committee – explains why he believes we are now in a “risk off” period and what role macro-prudential policy might play in this environment. 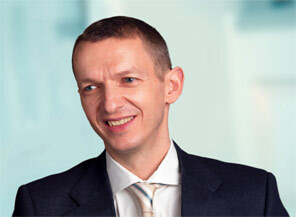 Andrew Haldane explains that crisis-induced recessions tend to be longer and deeper. He looks to the years following the Great Depression and the UK recession of the early 1990s as potential guides to how we will emerge from today’s Great Recession, concluding that it will be a bumpy ride. That has knocked on to financial markets. "As in 1933, the fear factor is rife in today’s financial markets. The prompt has been sovereign debt concerns in parts of Europe and the United States. This is but the latest – and most severe – in a series of waves in sentiment since the onset of the crisis. Risk appetite has yo-yoed." Today’s "risk off" attitude is consistent with several market metrics, including the recent rise in demand for safe assets, the rise in the premium for holding risky assets and the drying up of financial market liquidity. "Excess liquidity during the first half of the century gave way to plummeting liquidity during the depths of the crisis. Today, despite rock-bottom global interest rates, market liquidity remains below normal levels. Risk capital is parked on the sidelines." Andrew Haldane says that risk aversion is being driven by two factors: balance sheet disrepair (a fundamental factor) and "psychological scarring" (a possibly non-fundamental factor). On the first, he examines the balance sheets of banks, households, companies and governments. While balance sheet repair is underway, the process remains incomplete causing strong headwinds to risk-taking. Since the crisis, banks have halved their balance sheet leverage. But they are still only midway through their adjustment to new regulatory standards and business models, causing weak expectations of future profitability. Reflecting that, bank equity prices are back at 1998 levels and market-based measures of bank leverage paint a less encouraging picture of balance sheet strength. Similarly, while the aggregate balance sheet position of households and companies has improved, for both sectors there is a long tail of potentially over-extended borrowers vulnerable to a worsening of financial conditions. The balance sheets of government have fared little better. Among the G7 countries, debt to GDP ratios are set to hit 100% of GDP this year. At these levels in the past, growth has tended to be constrained. Andrew Haldane says that risk aversion is being exacerbated by behavioural factors, which may be leading to over-pessimism in markets. Financial crashes can cause perceptions of risk to become over-stated. "Memories of financial disaster are now fresh, as after the Great Depression, causing an over-estimation of the probability of a repeat disaster. In these situations, psychological scarring is likely to result in risk appetite and risk-taking being lower than reality might suggest. Risk will be over-priced. Today, the very disaster myopia that caused the crisis may be retarding the recovery." Andrew Haldane suggests a number of ways in which this can be achieved. Opportunistic raising of capital by banks, as recommended by the FPC in June, is one way. Communicating about the possible over-pricing of risk is another. Recommending changes in regulation to lean against the wind would be a third. He concludes: "As in the 1930s, macro-prudential policy may have a role to play in shouldering the heavy burden of damaged balance sheets and diminished risk appetites".